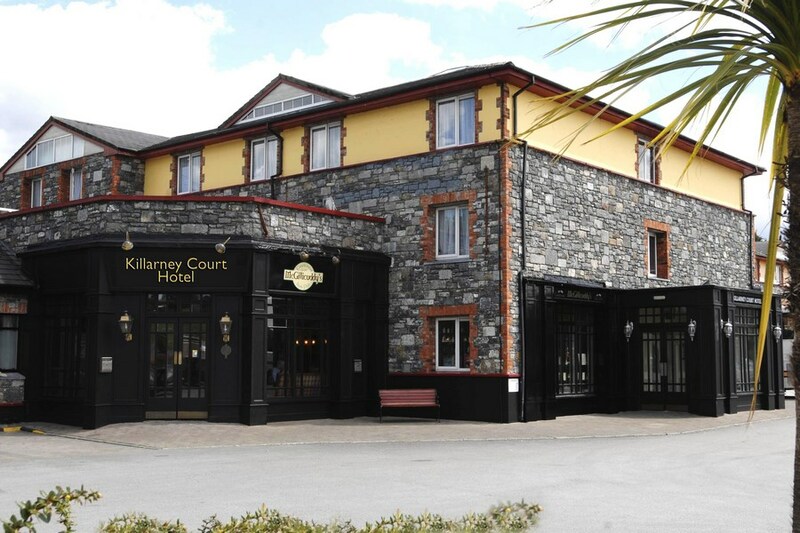 The Killarney Court Hotel in Killarney, County Kerry, Ireland will ensure that your stay with us, whether for business or pleasure, is a most enjoyable one offering quality hotel accommodation just a few minutes walk from Killarney Town Centre and 15 minutes from Kerry International Airport. From Tralee and Limerick Road - As you enter Killarney you come to a roundabout, go straight across this roundabout and the hotel is immediately on the left-hand side. From Cork - [N22] or From Mallow - [N72] As you enter Killarney you come to a roundabout, take the second exit (signposts for the airport) and follow this road until you come to the next roundabout, here take the first exit and the hotel is situated immediately on the left-hand side. With its three famous lakes and great mountain ranges, Killarney in County Kerry Ireland has been the inspiration of poets and painters over many centuries. The Killarney National Park is internationally renowned both for its scenic beauty and scientific interest. Added to the beauty of the three main lakes are many other lakes in the folds of the mountains, numerous picturesque cascades and, rising to the west of the valley, the peaks of MacGillicuddy's Reeks. We had a lovely return visit. Room and food excellent. As the evening was cold and wet we got a taxi to town centre for €8. Breakfast was very substantial and very good. Hope to return again. We had a great overnight stay here. Room was big, comfortable and very clean. Nice big bar, food was good. Breakfast very good, big buffet. Hotel is just an easy 10 minute walk to town centre. I would recommend staying here and hope to be back. We stayed in the Killarney Court for 1 night. We enjoyed our stay. Staff friendly. Food was good. Room was comfortable. Would like to come back again. Peg and Dan. Stayed here on May bank holiday weekend. Staff were superb, food was lovely and location was good. My one problem was with the lighting in the room. As with many hotel bedrooms, the lighting is totally unsuitable for reading as there is no centre light and the bedside lamps are not for reading. Otherwise the stay was great . First time staying here as group of 17 over the Easter holidays. 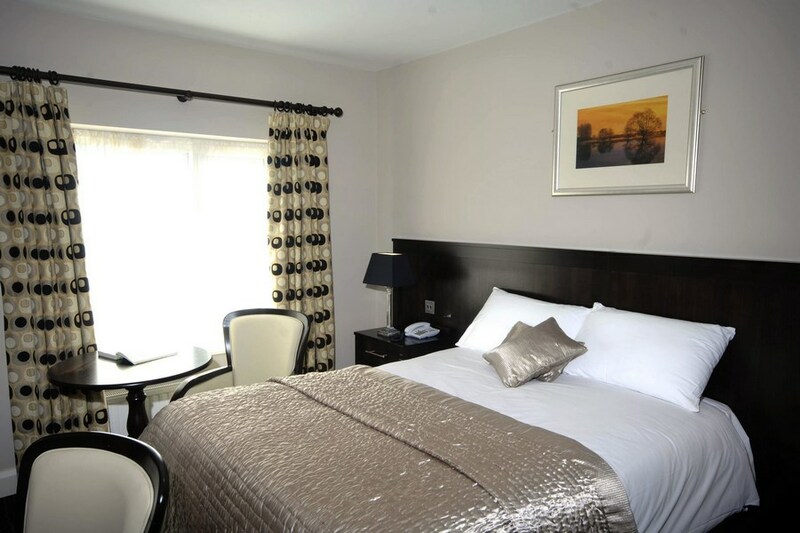 The hotel is in a good location a short stroll to the town centre. The carpark is not large but some of us were told to park in the garage next door or along the side of the hotel when it got full. The staff were very courteous and nice and when my aunt left her handbag in reception they were quick to make me aware of it. We ate in the restaurant and bar over the weekend but the bar food was better in my opinion. There's one down side in that although the beds were really comfortable the furniture in the bedrooms is really dated and scuffed and could do with either some paint or being replaced. For a bank holiday weekend, they had no entertainment so we had to make our own, which we are very good at. Other than that we really enjoyed ourselves. The Killarney Court Hotel is a very welcoming hotel. The staff are well trained in customer care and good service. The hotel itself needs a little bit of updating in bedroom furniture but the beds are lovely and comfortable. The bar food is excellent, much better value than the restaurant. It's only 8 minutes walk from the center of Killarney and all the restaurants and bars. We had a very enjoyable stay here and I would book the hotel again. The bedroom was fine if lighting poor. 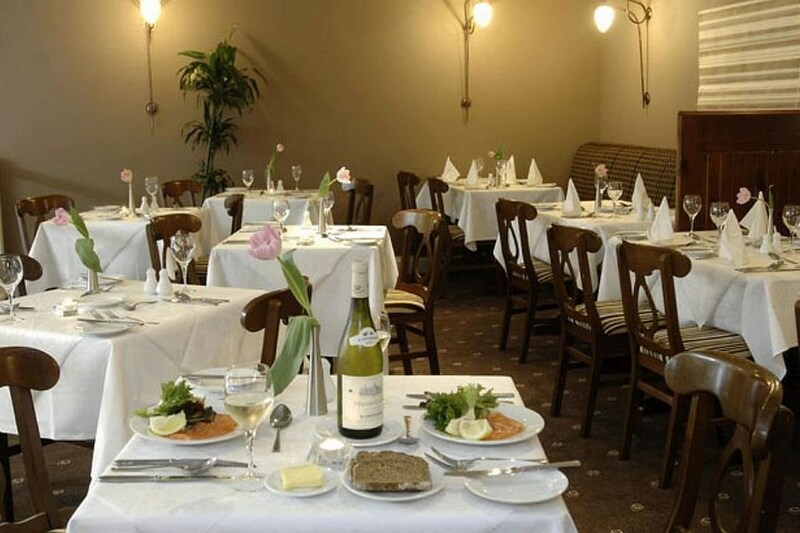 Staff were friendly and helpful and the food was excellent. Definitely value for money. Excellent hotel. We had a lovely room, breakfast was really nice and we had a very nice dinner on one of the evenings. Would recommend. Highly recommend staying here. We were checked in by a lovely girl called Ellie. Our rooms were clean and bright. We had our dinner and were served by a lovely, friendly man, Eamon. We were central to everything including the INEC which was 12 by taxi. Breakfast was buffet and really nice Would definately stay there again. Stayed here recently and could'nt say enough of good things. The room was spotless warm and cosy. All the staff were so polite and helpful. The breakfast was excellent everything was so fresh and tasty. We cant wait to go back in the summer. Loved our stay. Stayed here for two night b&b 1 dinner. Food was fab a bit slow to take your order and had to ask for jug of water twice but that wouldn't stop me going back. staff were really friendly. The weather was lovely the few days we stayed and the rooms were extremely warm. Rooms were spotless. Shower is amazing. If you go I would ask for the newer rooms though. Rooms aren't very spacious. Excellent location close to town with plenty local amenities. Had dinner in the restaurant the first night and food was really good, as was the service. Breakfast varied and plentiful. Went for head and body massage and therapist was really top class. Very happy with weekend and will definitely repeat it. we stayed in your hotel for one night. On arrival we were met with friendly staff,room was lovely warm and clean.we had a lovely meal in bar, met nice staff and service was appropriate. breakfast next morning was a disappointment, as no fruit was available. tea was cold and staff were not as good as day shift. we asked for toast and after 10 mins a waitress arrived with cold toast and no conversation at all. we tried to make her smile but got no reaction. the night porter was excellent, it was a very wet and stormy night, but the waiter went out of his way to get us a parking space as the hotel was full.he was so helpful. thank you for your warm welcome, we will stay with you again. My wife and I stayed over Paddy's Week End in the Killarney Court. The staff in all areas of the hotel were very friendly and helpful. Our package included an evening meal on both nights. The food was excellent. The Seafood Chowder was so good I had it for Lunch as well. It was ideally located from the town centre. The room was very comfortable and clean. I would definitely recommend this hotel. We will be staying here again. 5 minute walk to town centre, lovely clean warm place to throw your bones at the end of a day1 the staff were extremly helpful,organised & informative. The food is good too!! Would have no problem recommend!! Stayed at KIllarney Court for 1night DBB.Lovely ambience in this hotel.Staff couldn't have been more pleasant and the standard of food was great.Would definitelhy stay again. Fab hotel so clean and staff very friendly. Food was unreal. Would highly recommend and will definitely be back. Really enjoyed the stay at this hotel, lovely room, friendly staff, food was very good. Thanks for a lovely stay. We had a lovely time in Killarney Court, staff were very friendly & food was excellent. Hotel and Staff were lovely, especially the security guard on the night. He was very welcoming and I will most definitely come back if he is there! It was great! They had a large party late checking out from the night before, so our check in time was after two but this was not a problem, the reception staff, were very friendly, explained the situation, apologised and offered to mind out bags until later if we wanted to go out around Killarney. We chose to stay, got a drink and sandwich from bar. The bar staff, just as friendly and helpful. We had a twin room, which was very clean, couldnt complain about anything. Breakfast next morning was lovely and again the staff in the dinning room were very friendly, helpful. Can't say enough good things about Killarney Court. Will def. stay there again. friendly staff. lovely comfortable room. dinner and breakfast very nice. Recently stayed at this hotel. Would definitely go back there. The staff were very friendly, helpful and accommodating especially Gene and Stephen also the household staff did not rush us out of room. The food was hot and plenty of it and the drink was reasonably priced. We had a lovely time there and thank you. Excelent value very good bedrom with good en-suite, friendly staff, good food, good location, would definately go back again. I booked the hotel for my parents who were going to a wedding in Killarney. They really enjoyed their stay in this hotel. They said the food was great and the room spotlessly clean. The staff were helpful and friendly and they would definitely stay again. dinner on both nights was awfull same menu both nights. Hotel was fine just avoid eating . The Killarney Court is a lovely Hotel, I really enjoyed my stay there. A very well kept Hotel. Nice Bar & Restaurant. Lovely Food. Rooms are very well kept. Clean and comfortable. Staff are very helpful. The Hotel is very well situated. A few shops located around the hotel. Short drive to the town centre. I would definately stay there again in the Future.